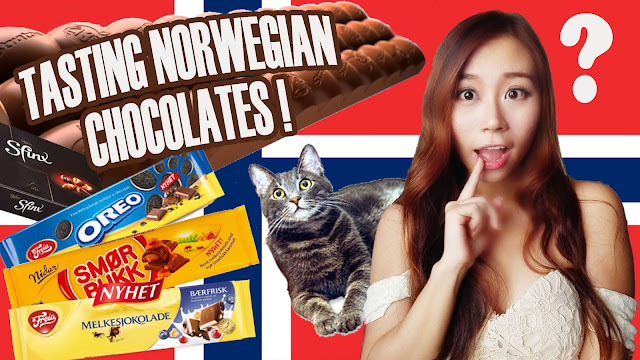 Ever wondered how Norwegian chocolate taste like? Or are you coming to Norway and thinking of trying out Norwegian products? Apart from the salmon, don't miss out the Norwegian chocolates as they are one of a kind ! Norwegian chocolates are one of the best souvenir to buy back ! Why? Because you can't get it as it is not a very common brand in Europe or Asia. I mean seriously you can never ever find Norwegian chocolates in Asia. However, the Norwegian chocolate would probably find problems to stay in shape in warm countries. The chocolate has a rich butter taste as it feels more creamy and rich in flavour as compared to the Asian chocolates. If you not a fan of sweet and fatty milky buttery chocolate, Norwegian chocolates might not be of your taste. However, I do think the various variety of Norwegian chocolates are quite interesting to try out. The among Norwegian chocolates I would be trying out is out of 2 different brands, Freia and Nidar.